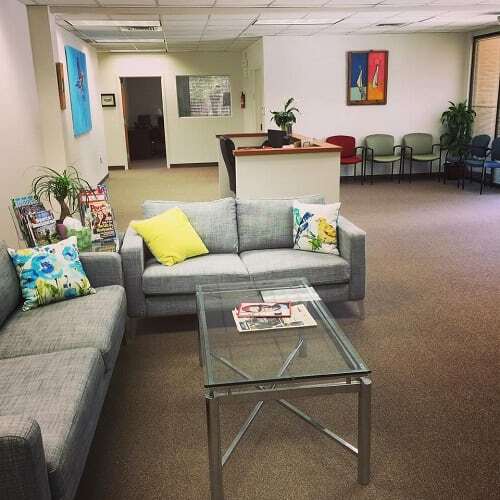 Due to our expansion and opening of a brand new clinical space in Towson, we are pleased to announce that will be holding an Open House ceremony on June 3, 2015 from 12:30pm to 5pm. Having opened initially a year and a half ago, the overwhelming need for the high quality, comprehensive patient and family addiction treatment programs offered by Maryland Addiction Recovery Center, coupled with the impressive professional and community support received since first opening, made the need for expansion and larger clinical space a necessity. At MARC’s first open house held last year, White House Deputy Director of the Office of National Drug Control Policy (ONDCP) David Mineta was on hand to speak with the crowd. Mr. Mineta remarked about the need for more accessibility to treatment and the hope that President Obama’s push for parity with the Affordable Care Act (ACA) would allow more center’s like MARC to open nationwide. At this year’s Open House, remarks will be given by MARC Executive Director Sam Bierman, Regional Vice President of Washington DC for Caron Treatment Centers Tara Handron and Peter Bruun, Founder of the New Day Campaign. The Open House is meant to be a celebration of addiction recovery and will be held on June 3rd, 2015 from 12:30pm to 5pm, with remarks taking place at 2:00pm. Refreshments will be provided and art from the New Day Campaign will be on display, aiming to begin conversation around helping to break the stigma of mental illness and addiction. If you or someone you know is in need of help because of drug and/or alcohol abuse, please give us a call. Maryland Addiction Recovery Center offers the most comprehensive addiction treatment in the Baltimore, Baltimore County and entire Maryland and Washington, D.C. area. If we aren’t the best fit for you or your loved one, we will take the necessary time to work with you to find a treatment center, rehab or provider that best fits your needs. Please give us a call at (410) 773-0500 or email our team at info@marylandaddictionrecovery.com. For more information on all of our drug addiction and alcohol addiction services and recovery resources, please visit our web site at www.marylandaddictionrecovery.com.